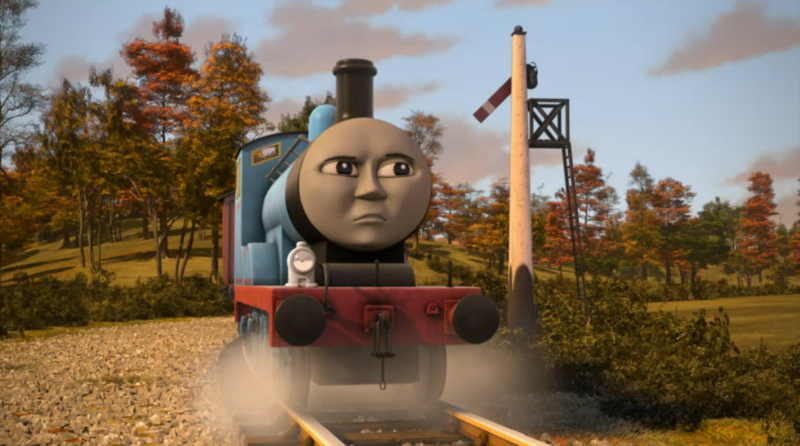 It's the end of the third week, and a snooty engine makes his series 18 début. It's Spencer's VIP! This sounded like a very interesting concept. 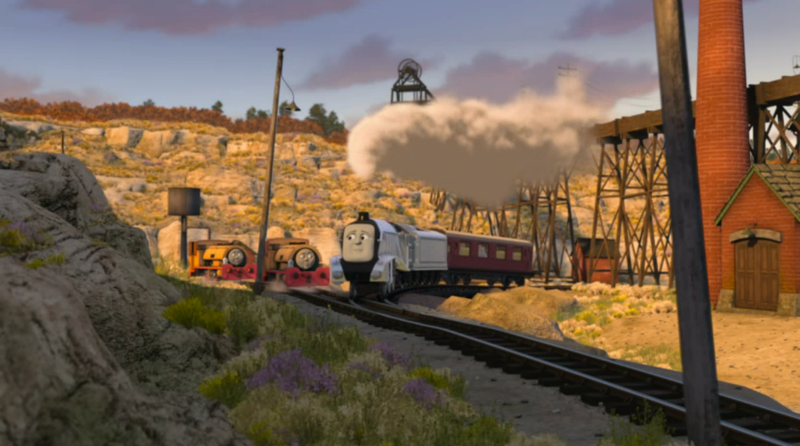 It sounded a bit like a cross between Wrong Road and Gordon Takes a Short Cut to me, and I was interested to see how the new team would change that. But could they pull it off? 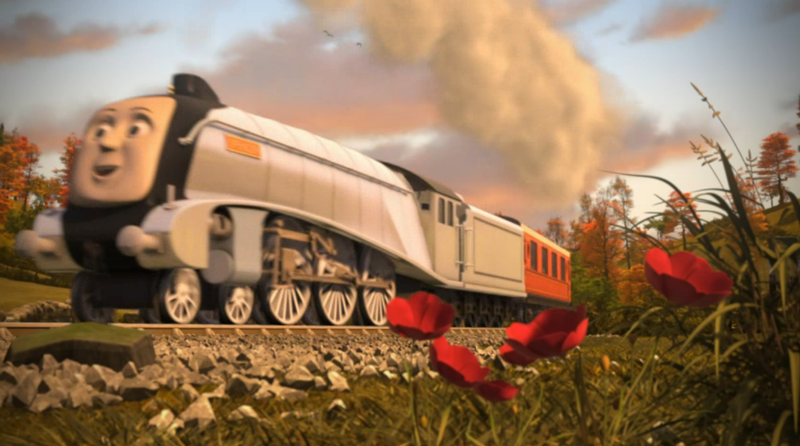 Many people have said that many different stories over series 17 and 18 have been "Awdry-esque", including me. But if there's any episode that properly defines that style of story, this is a pretty good candidate. No one was really talking about this episode, since the others stole its thunder, but it's actually really good! I was really surprised by the abundance of characters that were seen, either as a speaking role or a cameo! Seeing Belle again though made me feel rather sad for her and Flynn. 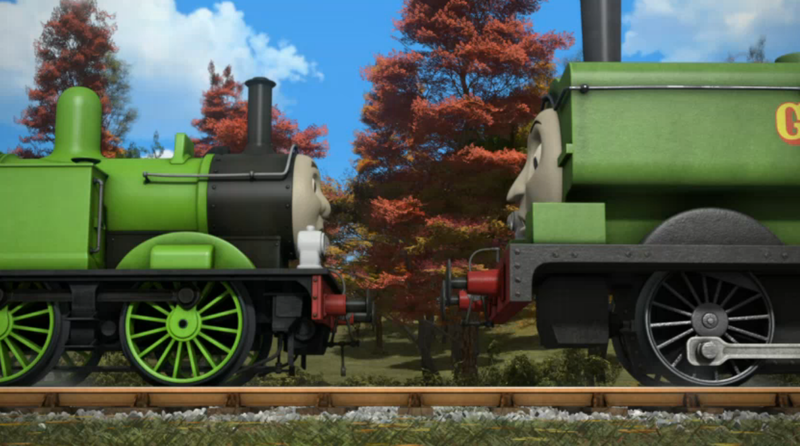 They were given an amazing turnaround in series 17, yet here they've seemingly been forgotten about completely. It could be because the animators are finalising a new Search and Rescue Centre set free of a certain tunnel that leads to a place that shall no longer be named. Or it could just be a lack of good role for them. 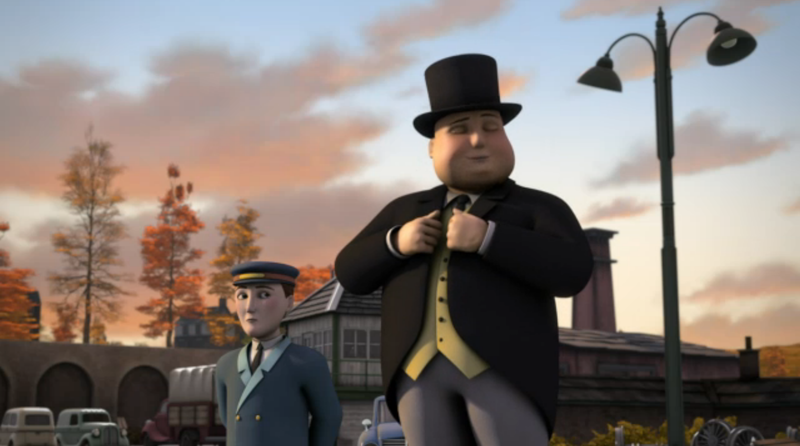 This episode made me theorise something else: I personally believe that Andrew Brenner is keeping the Steam Team concept, but is adding the members that fans had criticised the previous team for leaving out. On a slight tangent, I'm personally glad they were left out. 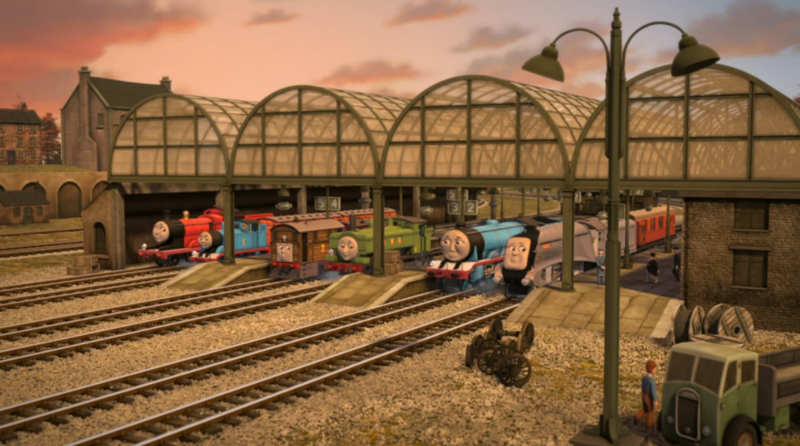 Not because they're bad characters, but because they're great, and they didn't deserve the treatment that the previous team gave the engines that were in it. Back on topic, and I thought it was pretty funny how Bill and Ben teased Spencer, although I did find it weird that they - and Timothy - knew him by name. 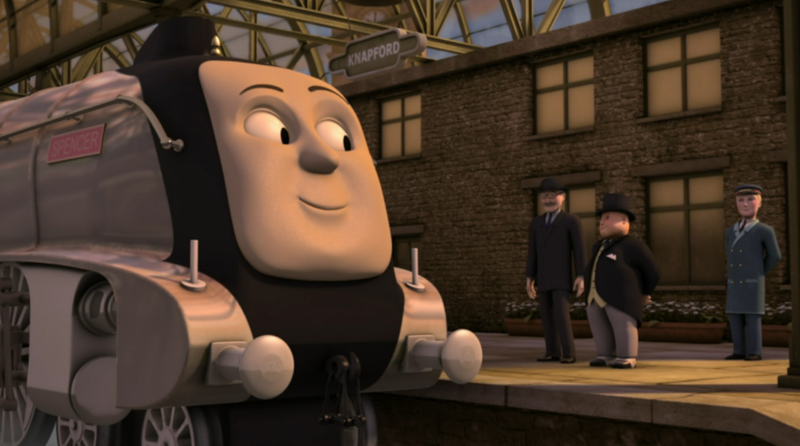 That said, it was great that Spencer actually followed the route of Edward's branch line, rather than random locations made up to be the branch. Now if only they included more locations of it to give it a more authentic feel (yes, that's also my issue with Thomas' and, actually, Duck's). And before anyone complains about weight restrictions, a similar situation happened in Wrong Road, so I'm not counting it as a negative. As usual, the humour was great here. 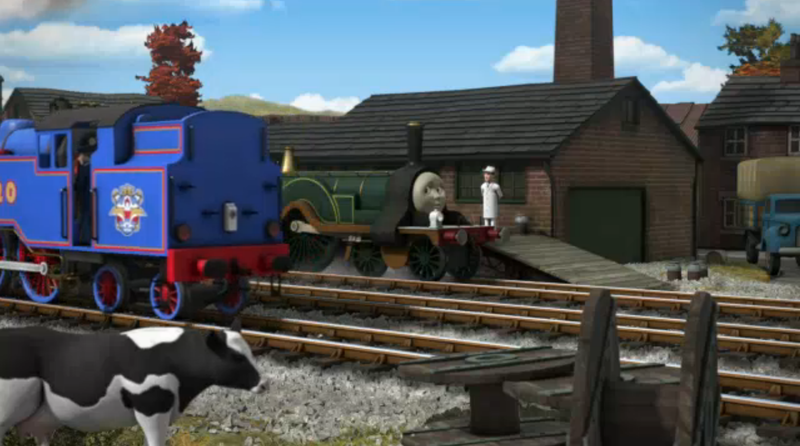 James' teasing of Gordon was brilliant, as were Gordon's reactions to James and Spencer. I really liked the ending. 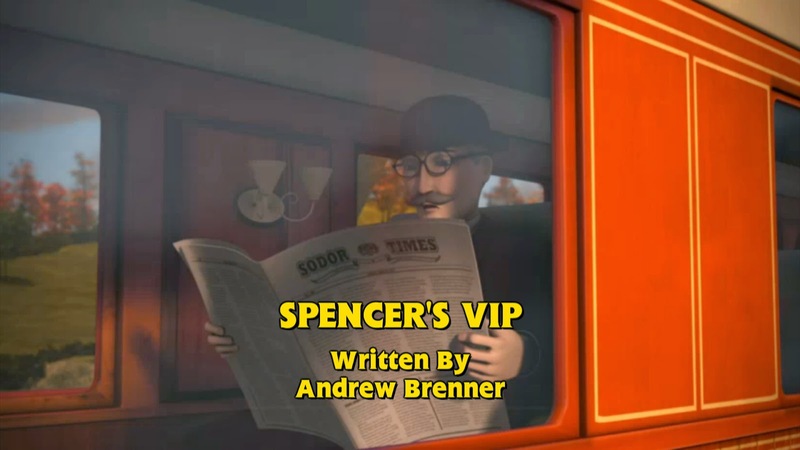 It was built up brilliantly throughout the episode by showing the impatience of everyone else as well as Spencer's own guilt for what he'd done. It lead to two really strong morals that, while they were given to the audience, they weren't forced upon us. It's also great to show the other engines learning from their mistakes rather than simply fixing them, which is a much better way to get the message across, purely because some mistakes can't be fixed, but you can learn from them to better yourself and ensure the same mistakes aren't made in the future. 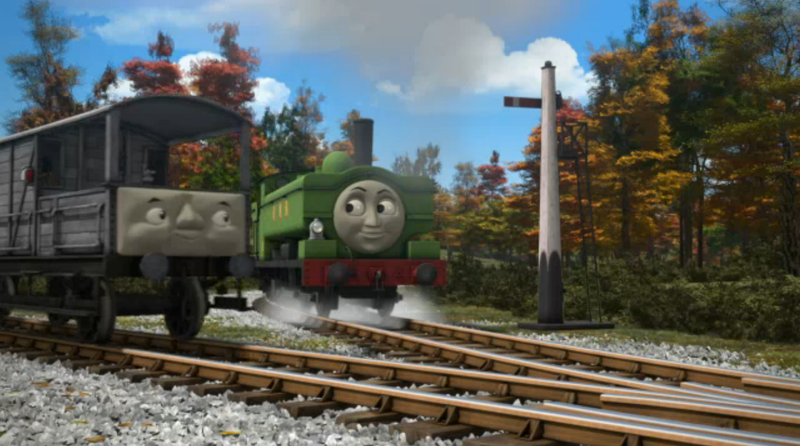 One thing I couldn't get past though was Percy's stupidity. And yes, I am calling it "stupidity" as there have been many VIPs visit Sodor in the past, from railway inspectors to the Queen! He should really know what one is by now! Yep, you know what I'm going to say next: the animation here was stunning. 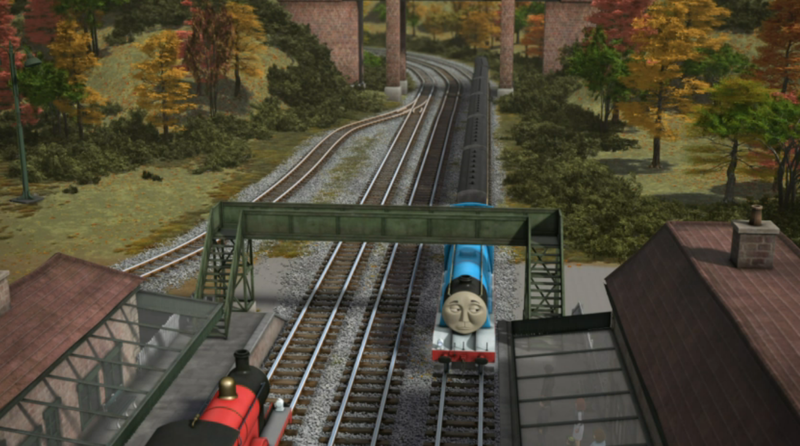 I've also noticed that the steam is beginning to become a bit darker in some scenes, and it's especially noticeable with Percy's. It's a great touch that adds a bit more realism to a scene! The voice acting was brilliant as usual. It seems that the deputy minister was voiced by Tim Whitnall, which really surprised me. Timothy and Reg sound pretty similar, so to hear him voice someone who sounds so different was really good, and it's raised my opinion of him as a vocal artist by quite a bit! The music was also quite nice. It did the job really well. I was expecting this episode to be, at least, average. But I'm pleasantly surprised that it exceeded all of my expectations. The story was brilliant, the abundance of characters was a real treat and the moral was brilliant. I'd have said that Andrew Brenner has "regained his form", but in all honesty, he never really lost it! 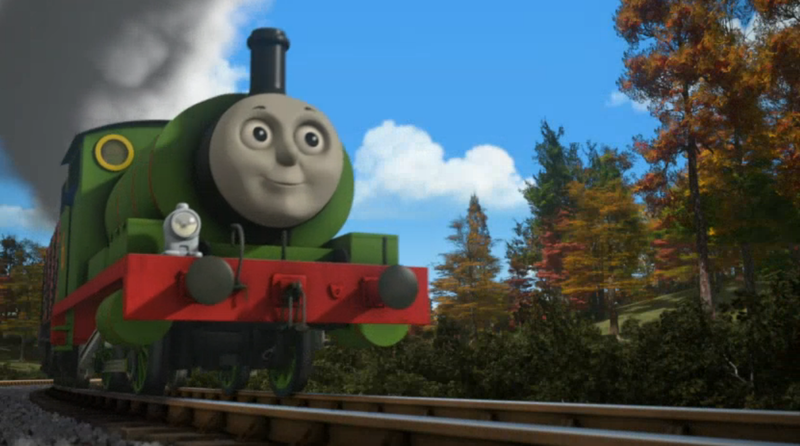 I think the animators should have chosen better characters to be in this episode, as Toby, Hiro, Duck and Oliver are supposed to be wise and they would have NEVER showed off like that. Yeah and that was one thing I never liked about Toad's Adventure, for the rest of the classic series after Oliver Owns Up, Oliver never showed off again, but in Toad's Adventure, he started showing off again, which made the lesson of Oliver Owns Up seem pointless considering he clearly never remembered it in Toad's Adventure. I disagree. The lesson he learned in Oliver Owns Up was never to be overconfident when doing his job, since he underestimated what the trucks were like. I can completely understand him wanting to talk about his escape as he could have been killed, and it would be understandable that he'd "stretch the truth" to make himself seem more important. I understand your point Chris and I think that you are right. 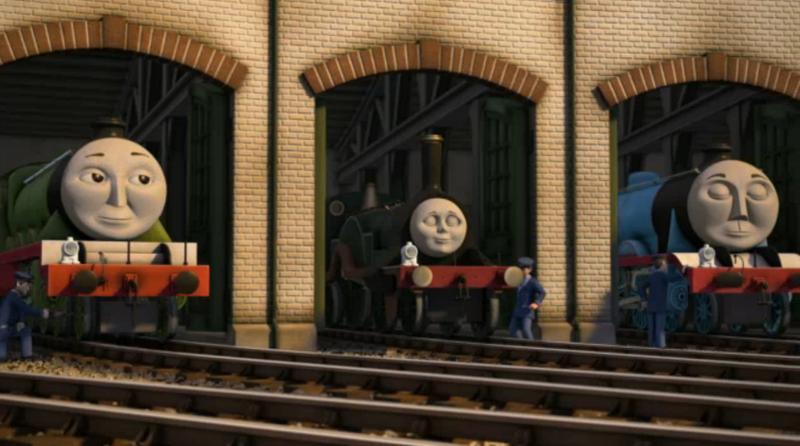 And perhaps the animators just added in Toby and Hiro as a small mistake.